Scarsdale is a town and village in Westchester County, New York, in the northern suburbs of New York City. The Town of Scarsdale is coextensive with the Village of Scarsdale, but the community has opted to operate solely with a village government, one of several villages in the state that have a similar governmental situation. The town is tucked in between Greenburgh to the northwest, White Plains to the northeast, Mamaroneck to the southeast, and New Rochelle and Eastchester to the south and southwest. As of the 2015 census, Scarsdale’s population was 17,885. According to a 2016 Fundera study, Scarsdale ranked as the 2nd best city in New York for small business. 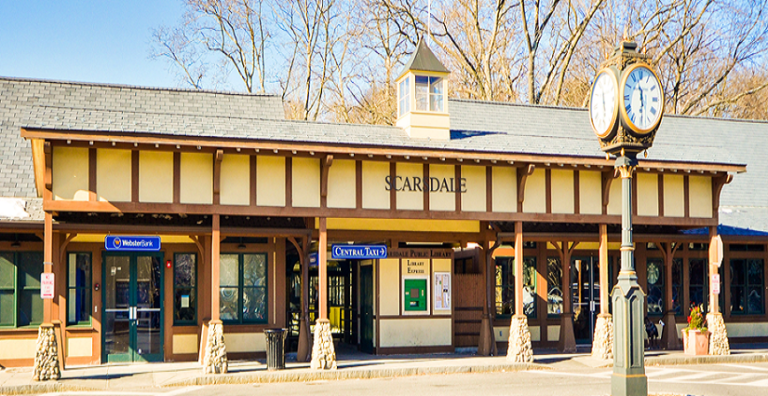 For generations, Scarsdale has held strong to its reputation as a leafy, up-scale, fashionable retreat. But it’s so much more than a famous name. 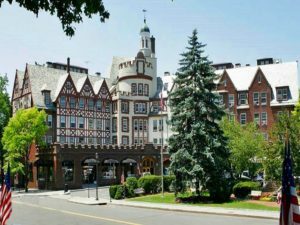 With a pedestrian-friendly downtown and ample culture and recreation, Scarsdale gracefully combines leisure and luxury with convenience. Downtown Scarsdale consists of about two square blocks of retail shops in quaint split-timber and brick Tudor-style buildings, connected by a couple of arcades and flanked by additional shopping strips. CNN Money ranked Scarsdale first in the nation on its list of “top earning towns” in 2013, with a median family income close to $300,000. From the Scarsdale train station, commute takes about 32 minutes to arrive at Grand Central via Metro North. For more information on Scarsdale please Click Here.